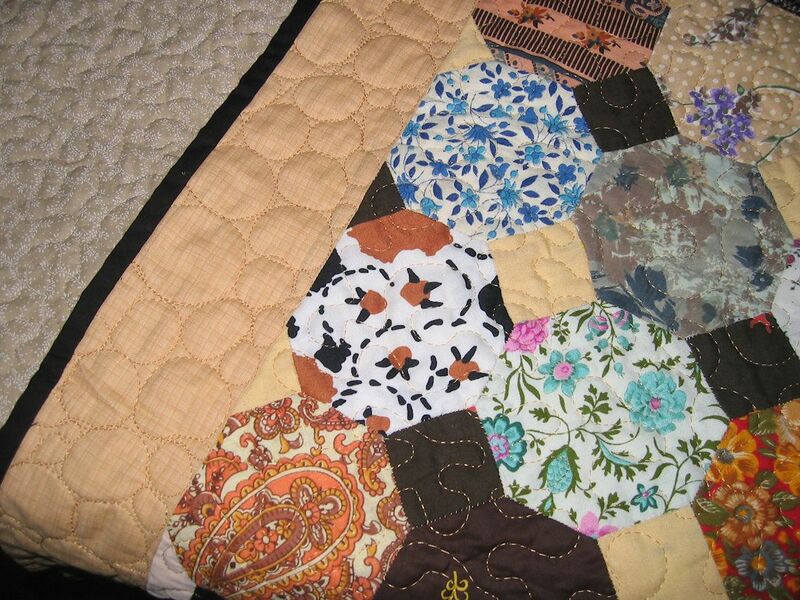 And the person who’d made the quilt top had used some old fabrics too. I’m guessing at the age of these fabrics, but I suspect 1950s to 1970s for the most part. So, how do you do justice to a quilt top that’s been so lovingly stitched, possibly for hundreds or thousands of hours? I let it sit for a few days and let my brain try to figure out how to approach it. I knew that doing something that mirrored the hexagons might well end in disaster, and pulling out stitches on a hand stitched top wouldn’t be a good idea. I also knew that the top was a little out of square (hexagons have lots of bias edges! 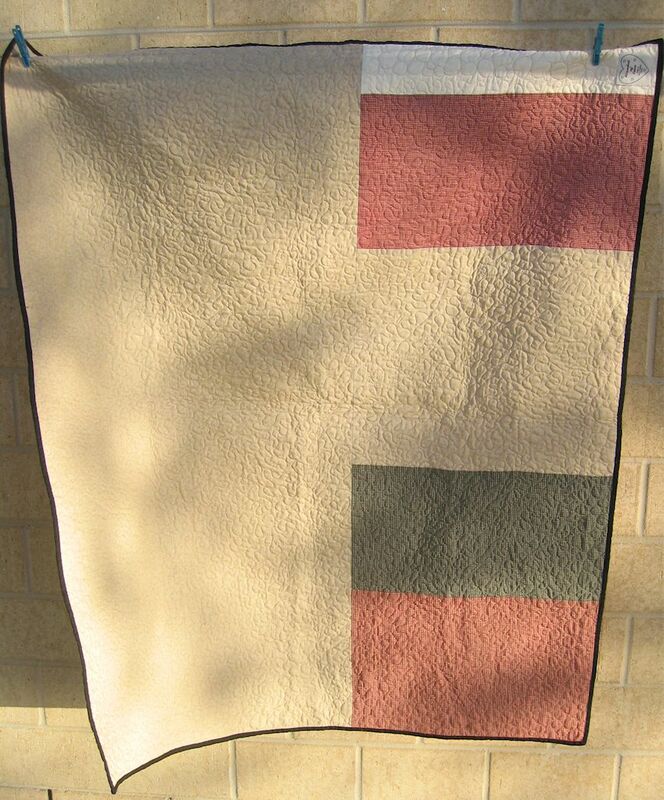 ), and so whatever quilting I did needed to cover the entire quilt in such a way that it got rid of the little lumps and bumps and puckers that were likely to occur as a result of it being out of square, especially when I got to the plain border where any lumps and bumps would be really obvious. 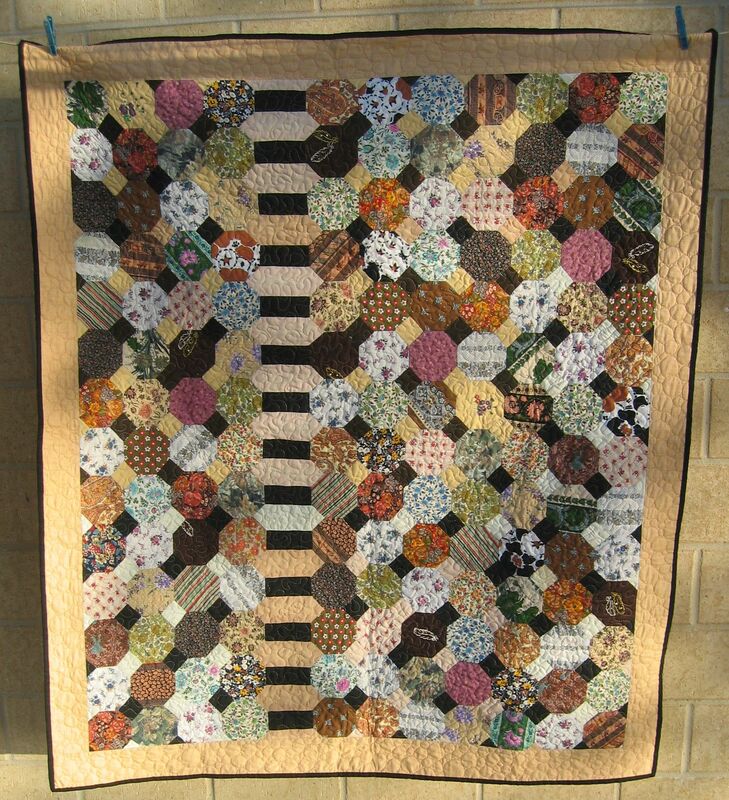 And the thread had to blend into the quilt so that the hexagons shone through and weren’t overpowered by the quilting. What to do??? I decided to do a large meandering stipple in a neutral thread that matched the border fabric, with big circles/bubbles in the border. Was this a good choice? I don’t know, but I was pleased with how it turned out. I don’t think the meandering stipple overpowers the hexagons, and the large bubbles in the border were sufficient to flatten the lumps and bumps, also without drawing the eye from the quilt top. At least, I hope that’s what I achieved.